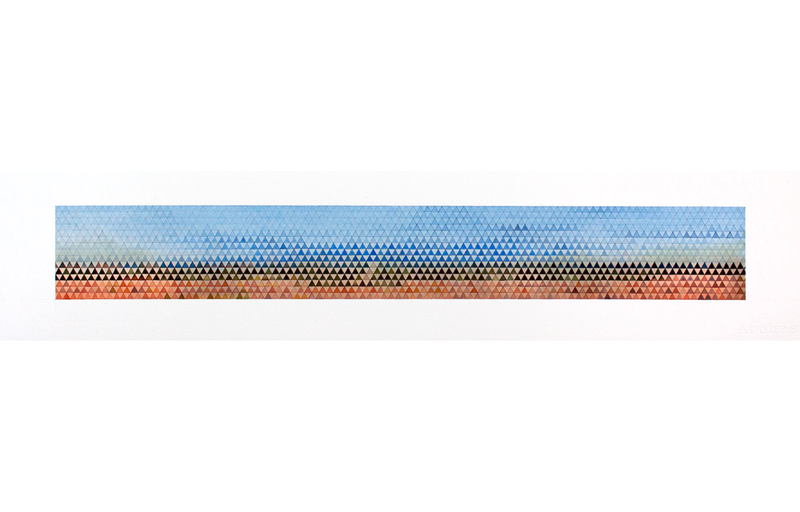 Inspired by the foundational Bauhaus courses, April Ng and myself sought to explore Texas landscapes at varying scales through observation and abstraction. Under the guidance of Joyce Rosner we practiced watercolor technique and built looms. As an influential pedagogy within the design school, the Bauhaus’ holistic idea of creating a ‘craftsman’ rather than a ‘designer’ was one of the fundamental aims of our independent study. Wassily Kandinsky idealized the unification of the arts and, along with Paul Klee, Josef Albers and Johannes Itten, established a curriculum in tandem with applied design and functionalism that examined theoretical principles of color and form. In addition, we were inspired by the weavings of Anni Albers and Sheila Hicks. We took up residency in one of the architecture studios for the eight week study. One of my focuses was to study the interaction of colors in reality and in the abstract. Watercolors allowed me to practice layering, using broad washes followed by finer detail to convey depth and continuity. 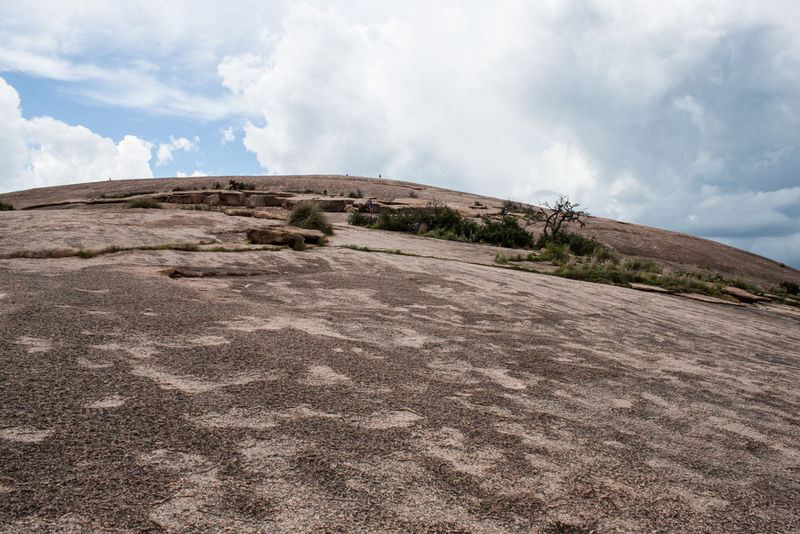 Enchanted Rock, which is about an hour and a half drive from Austin, provided ample material for our study. The colors and textures were otherworldly and complemented by thunderstorms in two directions.